Turkey’s white sandy beaches and turquoise seas make for unforgettable family holidays. Why not soak up the sun along Antalya’s stunning expanse of coastline, or immerse yourself in ancient history with a tour of some of the country’s oldest landmarks? Whatever you opt for, Turkey is sure to quench your thirst for sun, sea and poolside days. The country’s array of family-friendly resorts are sure to keep the kids entertained for hours on end, while the grown-ups can indulge in a little rest and relaxation. If the idea of cooling off in crystal-clear Mediterranean waters amid 5-star luxury surroundings appeals to you, then Antalya’s Lara Beach resort is a must. A jewel in the crown of Turkey’s south-western coastline, Lara Beach is the resort that keeps on giving, from Blue Flag beaches to top-quality entertainment. The ancient, bustling city of Antalya is less than 25km away and promises a great day out if you’re looking to venture outside of the resort. When it comes to family-friendly hotels, the Baia Lara Hotel has got it covered. With four pools and a mini water park, the little ones will wear themselves out in no time. The hotel also runs a popular children’s club with its own playground. The best part? While the kids are letting off steam, grown-ups can hit the on-site spa or fitness centre. Sitting proudly against the stunning Taurus Mountains, the Bodrum peninsula is awash with beautiful beaches and ancient history. 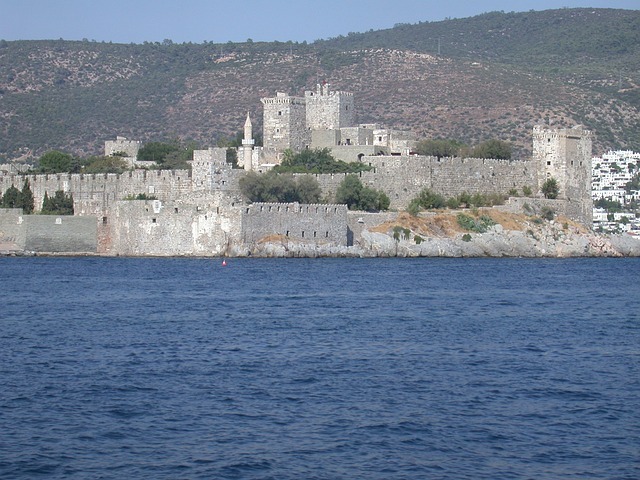 It’s a truly family-friendly destination, with unspoilt villages begging to be explored, and history by the bucket load – including Bodrum Castle, which was built in 1402. The lively Bodrum City is buzzing with bars, restaurants and quirky venues playing live music throughout the day and into the small hours. When it comes to accommodation, the Bodrum Holiday Resort & Spa is a special spot for families. Just 4km from the city centre, it offers three outdoor swimming pools complete with water slides for the kids, and Turkish baths, a pool bar and spa for the grown-ups. It also boasts its own kids’ club and mini-disco, just to be sure the little ones are thoroughly tired out before bed! Packing a punch along Turkey’s south-western Mediterranean coast, Marmaris has pine-covered hills, beautiful beaches and ancient relics galore. Marmaris town is a beautifully-vibrant port city with quaint, narrow streets dating back to the 16th century. It also features an impressive array of hotels, restaurants and attractions, from the Marmaris Archaeology Museum to the city’s largest aqua park, the Aqua Dream Waterpark. Kids will love the the large lagoon pool and water slide at the Club Candan apartment complex, just 1km from the resort centre. Music plays throughout the day to keep the holiday vibes going, while the poolside bar serves snacks and cocktails all day long. This is the a perfect destination for families looking to escape the daily routine back home. A picture-perfect resort on Turkey’s west coast, Kuşadasi is a firm family favourite, thanks to its wide, expansive of beaches and top-class facilities. Home to an impressive number of water parks to cool off in, the kids will love exploring the historic Çeşme Castle. On lazier days, why not work your through the resort’s array of beachside bars, restaurants and cafés? Kuşadasi’s Lion Hotel is particularly suited to families looking to unwind and have fun. With two pools, a water slide and a mini-disco, the little ones will be in their element. For adults, the sauna, Turkish bath and pool bar are sure to please. It’s perfectly situated between Ladies Beach (1.4km) and Kusadasi’s Tuesday market area (1.5km), making it an ideal base for exploring. Turkey’s collection of sun-soaked resorts really do offer something for everyone. If you want to get up to speed on some of Turkey’s most stunning resorts, Holiday Hypermarket have compiled helpful information, designed to make choosing your next holiday that little bit easier. The perfect antidote to a long winter, spending precious time under the Turkish sun with the family is sure to recharge the batteries and create lifelong memories. Just don’t forget to leave enough space in your suitcase to bring home plenty of Turkish delight!